I know lists such as these are usually of the feel good type. 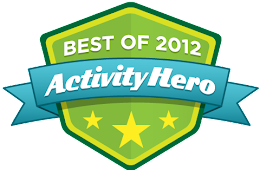 Aka, most romantic movies on Netflix, best movies to watch with your family over the holidays, best shows for kids, etc. I've read such lists. I've used such lists. I've even written such lists. But lately I've watched some really effed up stuff on Netflix that has made me (a la the title of this post) question humanity. In the sense that the documentary credits roll, and I think to myself, What is wrong with people? The whole thing has me reflective in a weird way as I'm driving to do my preschool pick ups. I find myself thinking things like: Is the human race doomed to destroy itself? Are we all solely driven by greed? Are we all inherently violent? What will become of me and my family and all of our offspring until the end of time? What is time? What will I make my family for dinner tonight? 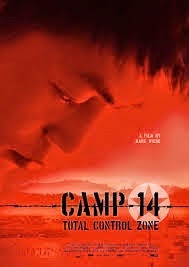 This documentary centers on interviews with Shin Dong-hyukwho who was born in a North Korean labor camp (Camp 14). His tale is incredibly depressing and hard to imagine - having lived his entire life in the camp, he had virtually no idea that an outside world even existed until he reached his early twenties. He endured horrific abuses, including starvation, beatings, forced labor, and witnessing the public execution of his mother and brother (after he himself turned them in for attempting to escape). The whole thing just drives home how incredibly bizarre North Korea is and begs the question - how does a place like this even exist? Okay, this one is really unbelievable. I have no eloquent way of describing it, so I'll just lay it out: 9/11 happens. Lots of people die. Survivors that escaped the twin towers reach out to each other to provide support. Some lady named Tania Head, a purported survivor herself, emerges as a leader of the "survivors" and co-founds The World Trade Center Survivors' Network. She does news interviews, and provides a detailed account both of her escape (walking down 78 flights of stairs with her right arm dangling and being rescued by a man in a bandanna) and of her fiancé, who perished that day at Ground Zero. What's the punchline? Turns out her name is not Tania. She was never engaged to anyone. 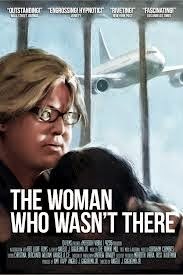 And she was never there - in fact, on 9/11/01, she was in Spain. She made up the whole thing up. Why? Why? What is wrong with people??? This documentary centers around the tragic story of a 13 year old boy who disappeared in Texas in 1994. Three years later someone claiming to be the missing child surfaced in Spain. Problem is it wasn't the missing child, it was a 23 year old con-artist with a french accent, and the wrong color eyes. 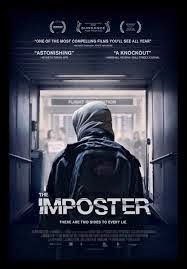 When the missing boy's family arrived in Spain to reunite with him, the con-artist (who is interviewed throughout the film) thought his ruse was up, since surely the missing boy's family would see that he was not their son/brother/friend? But no, they embrace him. They bring him back to Texas. They do news interviews. The con-artist was more shocked than anyone, and I began to wonder if this was a documentary about the power of denial. Because really, why? Why would anyone accept someone back into their family who was so obviously not who he said he was? The documentary suggests the answer could be a sinister one. If a family was responsible for their son's disappearance, then how convenient to have him "come home"? Shocking and depressing. You can't make this stuff up. This family in this documentary is like a car accident - they are so awful, and you want to look away, but you just can't. It's kind of like a profile of a Real Housewife of Beverly Hills, only these people live in Orlando, have 9 kids, and are way richer and out of touch than anyone I've ever seen on reality TV. The original premise of the documentary was to chronicle the construction of the largest home in America - a gaudy 90,000 square foot home, complete with 10 kitchens. But alas, during the filming the market crashed, construction on their new house was halted, and the family lost a ton of money and was forced to fire some of their hired help. During the resulting "poor" period, the wife still went on shopping sprees, threw lavish parties, and made comments such as "I never would have had so many children if I couldn't have a nanny." The movie has the odd result of making you not want to be rich. Ever. So there you go. Want to brighten your weekend? We've got corporate greed, egregious human rights violations, the gluttony of the uber wealthy, the disappearance of a child, and a woman duping 9/11 survivors. Or you can watch the third season of House of Cards, which just came out today. I for one will be binge watching it, though I don't think it will do much to restore my faith in humanity. But at least it's fiction. There's solace in that. 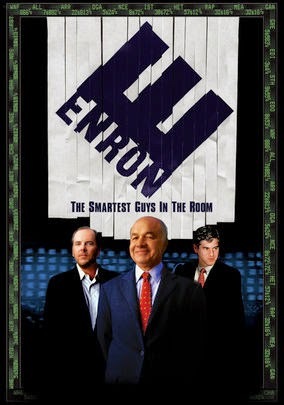 I love the Enron movie. Looking back at the time, I can't believe those thing actually happen and no one stopped them while it was happen. I definitely gotta check out The Imposter. Seems like an interesting movie.